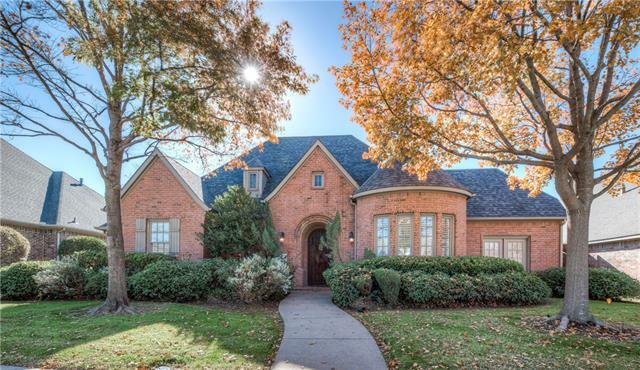 All Lake Park homes currently listed for sale in Coppell as of 04/20/2019 are shown below. You can change the search criteria at any time by pressing the 'Change Search' button below. 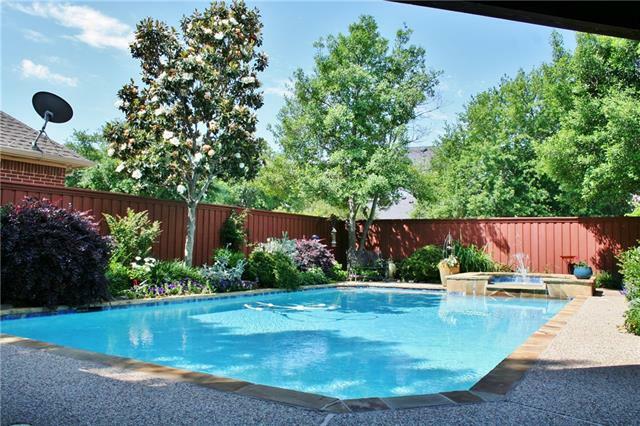 "Beautiful, classic custom home that has been thoughtfully cared for & beautifully updated. Plantation shutters & hardwood floors provide a luxury feel. Resort pool with covered patio make this house easy to live in. Open living area with vaulted ceiling, fireplace & pool views. Kitchen is wide open with generous storage & ample granite counter space-ideal for entertaining. Executive study has its own fireplace + pool views. The master suite includes a recently updated luxury bath & huge walk in"
"Gorgeous single story 4 bedroom custom home in Lake Park ready for new owners. This stunning home is one that stands out in the neighborhood, is newer than most homes in the neighborhood and having 4 bedrooms all on the ground floor is a certainly a rare find for the area! The property features hand-scraped hardwood flooring throughout the bedrooms, formals, kitchen and breakfast area along with an open concept for living that was designed to showcase a future pool off the living area, breakfa"
"This gorgeous completely remodeled home in a well established and sought after neighborhood is ready for a new Homeowner!! Home features Open floor plan, Huge kitchen with Stainless Steel appliances, Beautiful Kitchen Island, Granite Countertops, Recessed lighting, Wood flooring, Large bedrooms with walk-in closets, Custom bathrooms, Large covered patio, Oversized Garage with storage building and work station attached and Much More!! Easy access to Highways, Parks, and Shopping. Set up your show"